HISCO can assist your facility with pump system troubleshooting and new pump specifications. 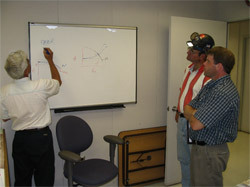 We also do training seminars for several pump aspects, including Packing & Seals Training and Pump Reliability Training. 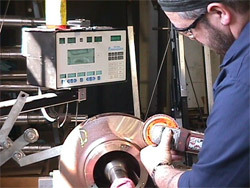 HISCO offers a wide range of machining services and capabilities, from small, delicate parts to large machined parts. All parts are precision machined to your exact specifications. Quality assurance is what makes HISCO a leader in customer satisfaction. We manufacture parts from a vast variety of materials including: plastics, forgings, aluminum, bronze, stainless steels, and any corrosion resistant alloy. From pattern making through final inspection, quality control is the key to HISCO’s success. 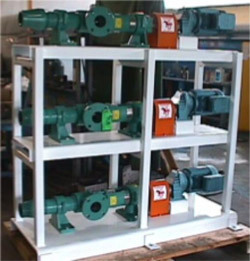 HISCO offers fabrication services for complete pump units. 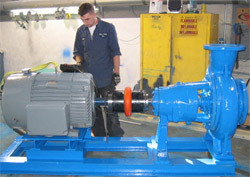 Our pump fabrication specialists are trained to work with equipment from all major pump manufacturers. All fabrication is done in house so we can control critical delivery requirements. If finding the right pump for your application is a difficult task, at HISCO we also offer custom designed pumping systems with CAD drawings and all options available. 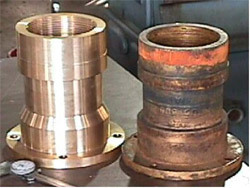 Shaft alignment is critical for pump reliability. Running a pump that is not properly aligned will cause premature failure of components and cause downtime. At HISCO we use laser aligning, the most accurate pump aligning system available today. It is available for field corrections and shop work, and is used before we send any pump system, new or rebuild out the door!!! Don’t let the unseen killer of reliability; damage your couplings, bearings and mechanical seals. Unbalanced impellers and rotating equipment will do just that. HISCO offers dynamic balancing of impellers and rotating equipment.